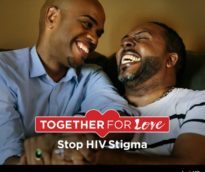 This year’s National Black HIV/AIDS Awareness day theme is “Together for Love: Stop HIV Stigma”. It highlights the messages of the Act Against AIDS, Let’s Stop HIV Together campaign. Let’s Stop HIV Together raises awareness that we all have a role to play in stopping HIV stigma. According to the CDC, there are more Blacks/African Americans newly diagnosed with HIV diagnoses and living with HIV, compared to other races/ethnicities. In 2017, 43% (16,694) of the 38,739 new HIV diagnoses in the United States were found in Blacks/African Americans. Some Black/African American communities have higher rates of some sexually transmitted diseases (STDs) than other racial/ethnic communities. Having another STD can increase a person’s chance of getting or transmitting HIV. Stigma, fear, discrimination, and homophobia may place many Black/African Americans at higher risk for HIV. The poverty rate is higher among African Americans than other racial/ethnic groups which can limit their access to healthcare, housing, and HIV prevention education. These factors may explain why African Americans have worse outcomes on the HIV continuum of care, including lower rates of linkage to care and viral suppression. The CDC funds state and local health departments to deliver effective HIV prevention services. GNR Health Departments offer free HIV testing and education all year round. We have nurses, peer counselors, and educators that work hard to reduce the HIV stigma. This year, our STD/HIV Prevention team will provide Free HIV testing at Georgia Gwinnett College on February 15 and February 22 from 12 PM to 4 PM . Testing will take place in the GGC Fitness Center located at 55 Collins Industrial Way, Lawrenceville, GA 30043.